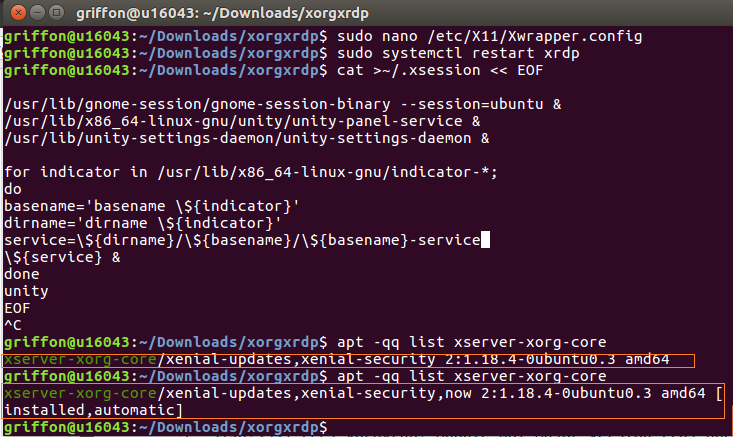 We continue our journey in investigating possible issues that might show up if you try to perform a custom installation of xRDP on Ubuntu 16.04.3 release. 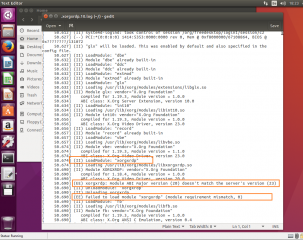 Indeed, the Ubuntu 16.04.3 has introduced a change that break the custom installation process of xRDP. 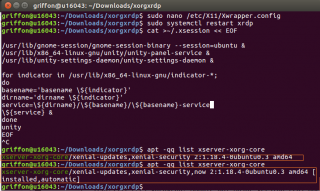 More specifically, when trying to compile xorgxrdp component from sources, a fatal error will occur as a necessary file is not anymore available within Ubuntu operating system file. In this post, we have described the small bug and provided two way to overcome this problem..
After fixing the bug and trying to connect through the remote desktop client, two additional issues showed up affecting (so far) Ubuntu 16.04.3. The funny thing is that all these issues present the same symptoms. 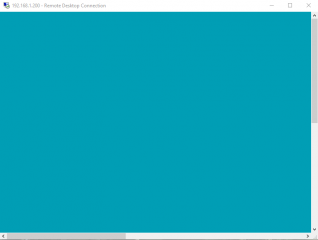 After passing the credentials in the xRDP login page, only the green background page is displayed and Unity Desktop interface never shows up. 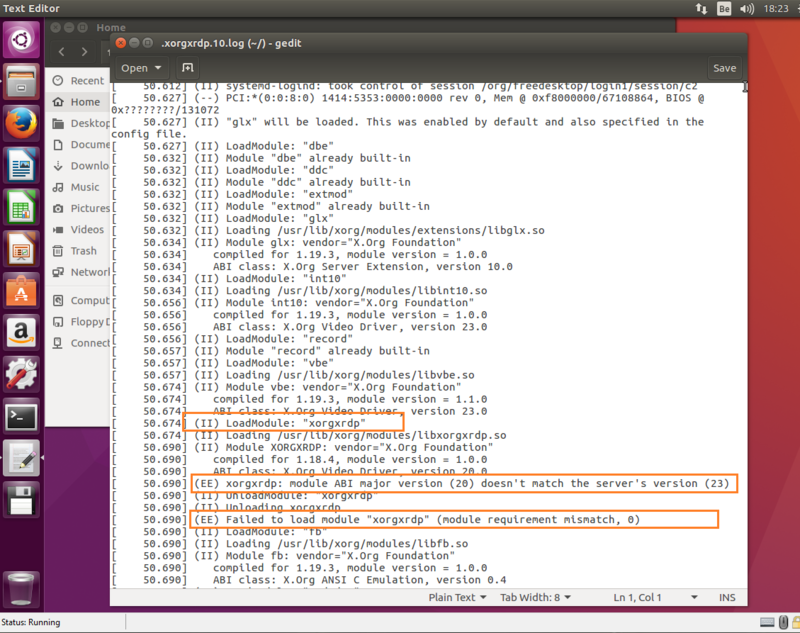 The first issue is related in the way Ubuntu treat authorization of running X Server. In this post, we have described how to identify the problem and how to fix the problem as well. 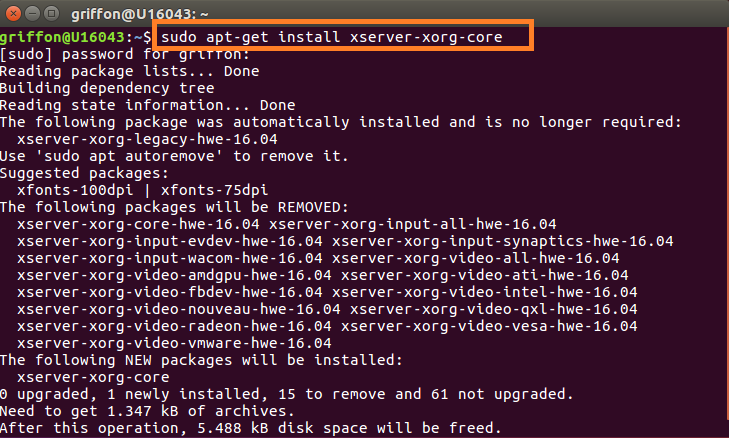 In short, you need to edit the Xwrapper.config file and ensure that anybody can run X server. Again, after fixing this issue, time to test the connection and access to the remote desktop. 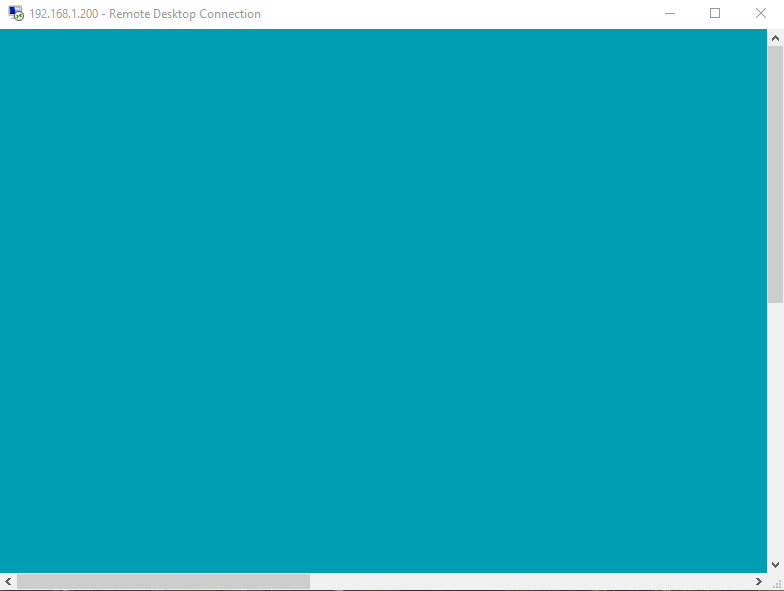 And….again, only the green background screen was displayed and no way to access the remote desktop interface….. This issue might be specific to virtual machines. Indeed, we are working exclusively with virtual machines (no physical machines) and we have encountered this issue while operating Ubuntu as virtual machines….. This was really disappointing ! We looked multiple times into the file before noticing the most important information. In the log file, the following error is clearly shown. You might be prompted for a password. Provide it. You might be asked to confirm the installation. Press Y to proceed and wait for completing…. 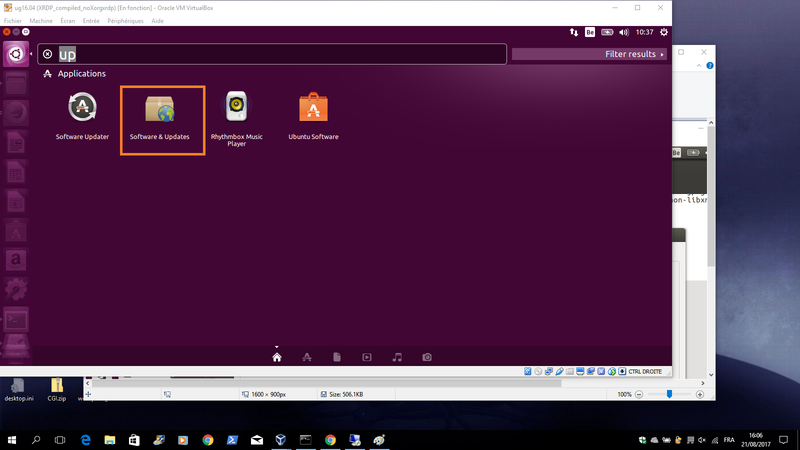 After that, reboot your system and try to perform your remote desktop connection and finally after all these efforts and tweaks, you should see the Unity Desktop interface loading and you can start working remotely on your Ubuntu machine….. If you are using Virtualbox, you may or may not encounter the issue. This will depend on the way the virtual machine has been configured. Let’s assume that you have reached the situation where you have installed the fix, configured the Xwrapper.config and you can still not access the machine via Remote Desktop…. The other solution is to check if the Virtual box graphic card drivers have been installed on your virtual machine. To check if the drivers are installed or not on your system, you can perform the following tasks. Click on the Additional Drivers Tab. 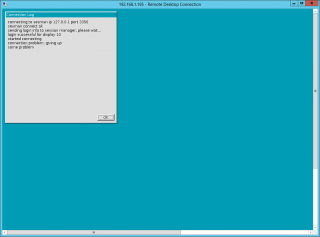 If you see a screen like the one below, the virtual box drivers are not installed…. 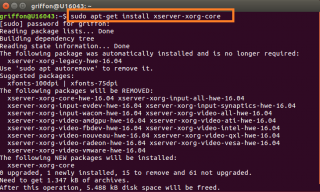 The first command was executed before installing the Virtual box guest drivers and you can see that the package is not marked as installed…. The second time we ran the command, the virtual box graphic drivers were installed and boom, the xserver-xorg-core package is present as well…. We shall see what the future brings…. Hey, thanks very much for this series of blog entries. My 16.04.3 system was hardly in a pristine state and I was still able to get xrdp up and running thanks to them. Much appreciated! I added that last line (minus the ‘#’, obviously), to /etc/pam.d/xrdp-sesman, restarted xrdp again, and now have the standard environment variables again. Thank you for positive feedback and for sharing your findings with us… much appreiciated…. Can you give it a try and see if this fix your issue ? Just been trying to get this to work on a virtual ubuntu 16.04. had your green screen problem after finally using the install-xrdp-1-9 script. Tried the instruction above to install sudo apt-get install xserver-xorg-core , and that finally killed the virtual machine. Total waste of time thanks!! We are sorry that this post didn’t help you..and you have given up in trying to install xrdp on your system. On the other hand, we noticed that you do not even provide logs of your setup that would have helped us investigating the issue. Have you tried to use the latest version of the script for ubuntu 16.04.3 (which is install-xrdp-1.9.1.sh) ?